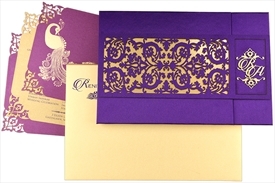 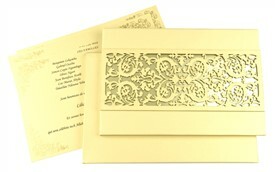 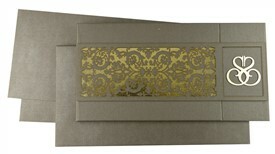 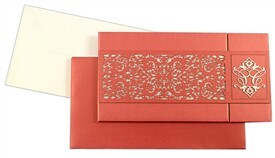 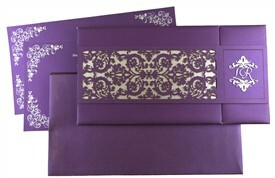 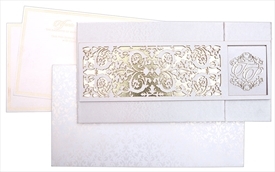 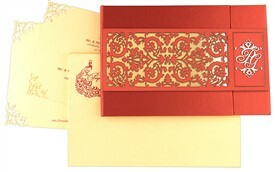 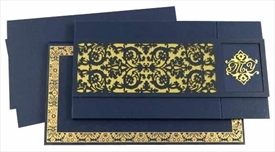 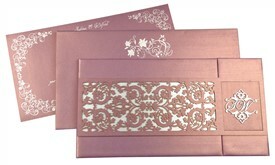 Laser cut ornamental band gives this card its rich ornamental look. 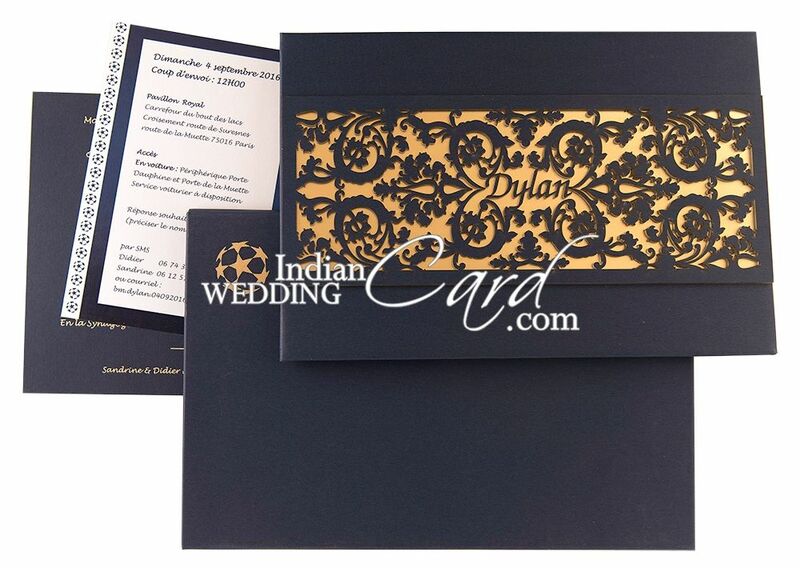 One insert is decorated with glossy digital print and 2nd insert is plain. 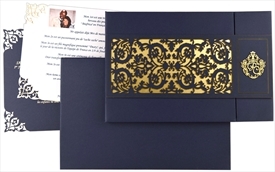 Blue color paper (250 gsm) for the main card, band, inside pasteup, pocket, 1 insert and mailing box envelope. 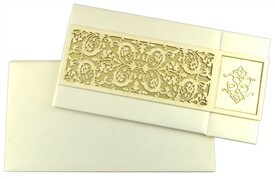 White color paper (250 gsm) for 2nd insert. 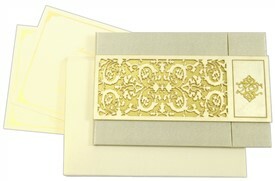 Gold foil paper (150 gsm) pasteup at front of card.